We enjoying eating Mexican food. We had chilli, rice, tortillas, nachos, guacamole, salsa,sour cream and Tres Leches cake. 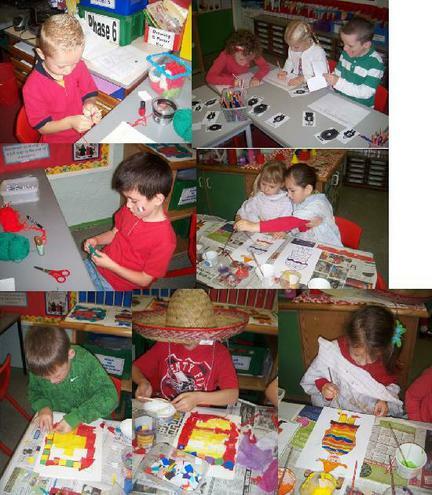 We did lots of Mexican activities. 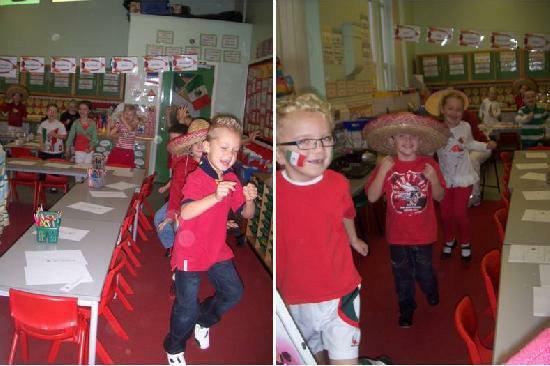 We did our Wake and Shake to Mexican music!! 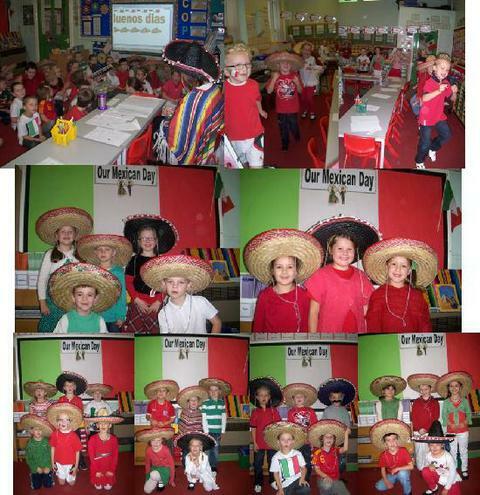 We have all enjoyed our Mexican Day in school this week. 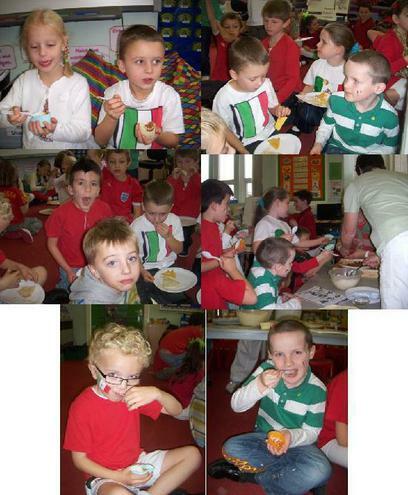 We have been learning about the Horta family who live in Mexico. 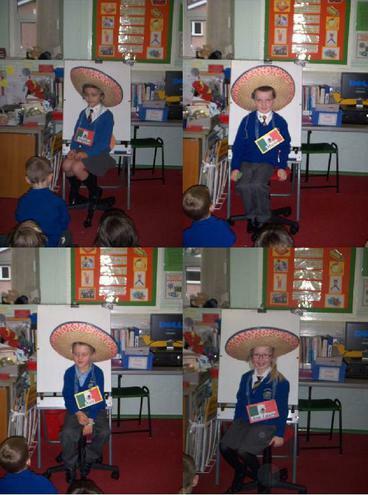 We took turns on the 'Hot Seat' at telling the rest of the class about the children in the family.